But Wait! There’s Moar. New Kickstarter Campaign from Espionage Cosmetics! 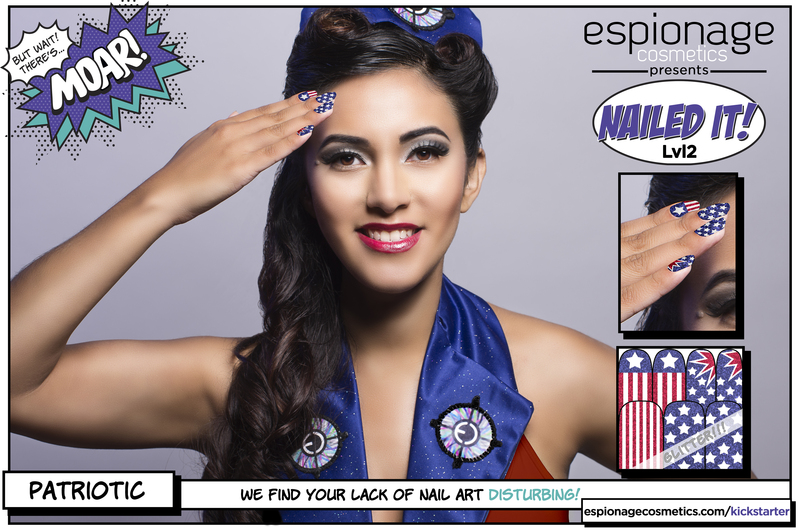 Around here, we’re big fans of Espionage Cosmetics, especially their nail wraps. Last year they launched a highly successful Kickstarter campaign to create geeky nail wraps inspired by Tetris, Dr. Who, Star Trek, and more. Well, they’re not done yet! Today is the start of their new Kickstarter Campaign Nailed It: But Wait There’s Moar! 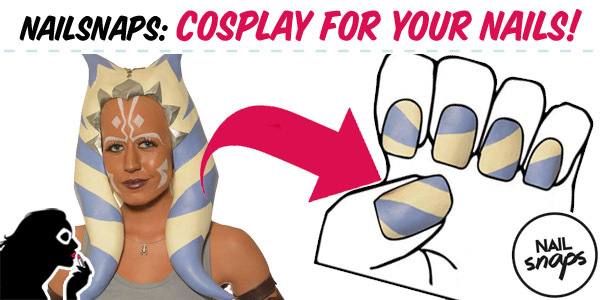 NailSnaps, a brilliant new app that will allow you to turn your pictures into custom nail polish stickers, has the potential to be a fantastic tool for cosplayers and fashionable geeks alike. Currently a Kickstarter project that ends tomorrow, it’s less than $1k shy of its goal! Check after the cut to see some of the fun I had using their nail template to experiment with the possibilities that could be had once this project is live. I love the idea of being able to highlight parts of my favorite costumes or fandoms and featuring them on my nails!